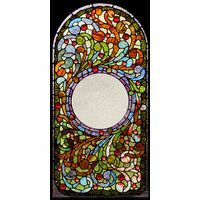 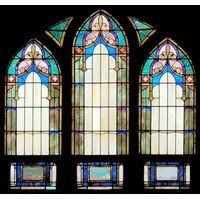 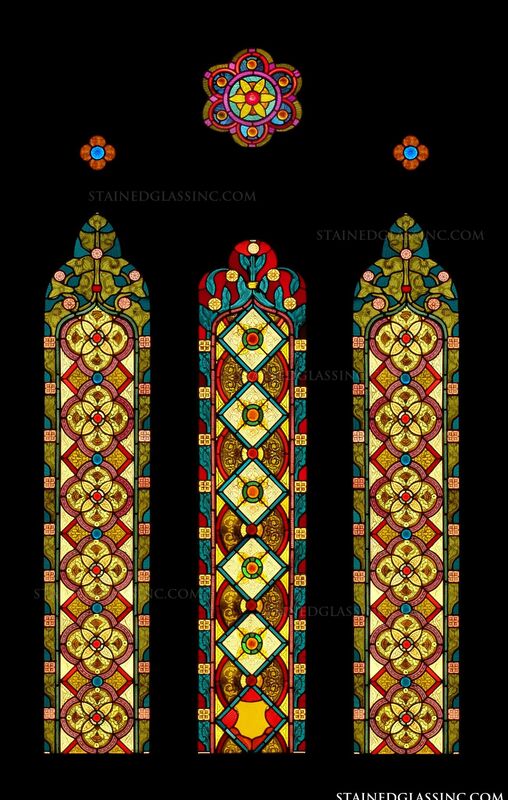 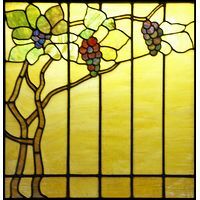 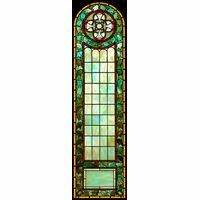 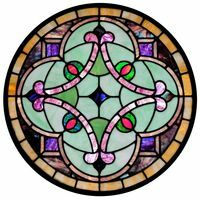 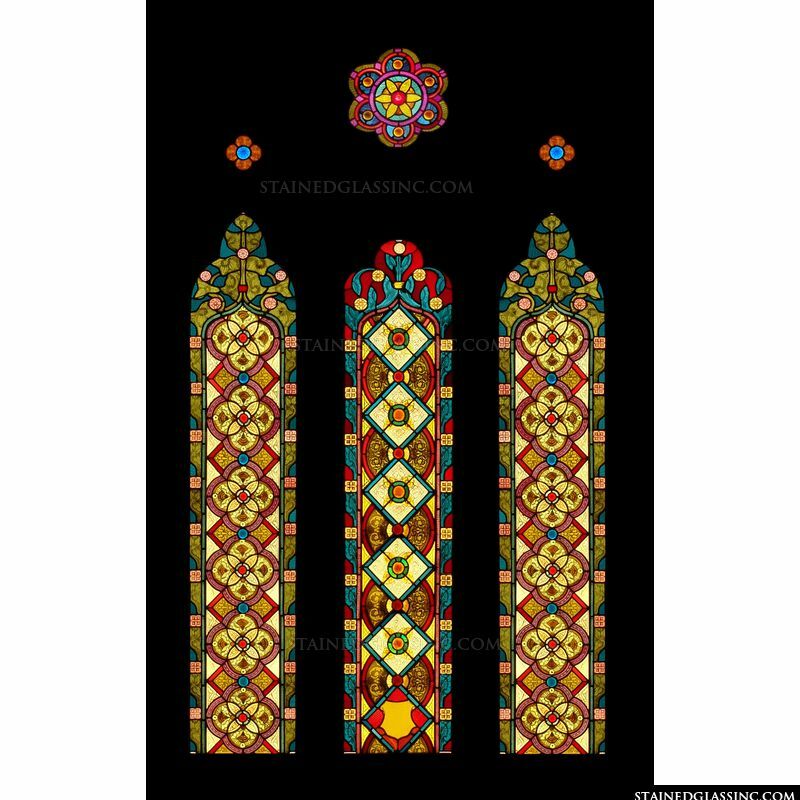 At Stained Glass Inc. we offer the world's largest selection of stained glass designs. 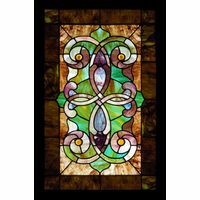 This is just one of the hundreds of geometric patterned panel designs that you may order from us. 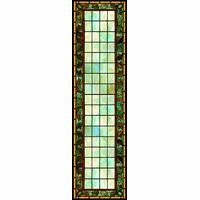 All our stained glass is custom made to order and we can make your dream panel in any size, shape or colors that you desire. 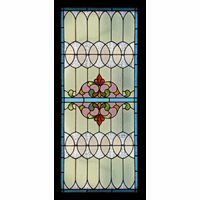 Display stained glass anywhere in your home of business to add color and beauty for years to come.